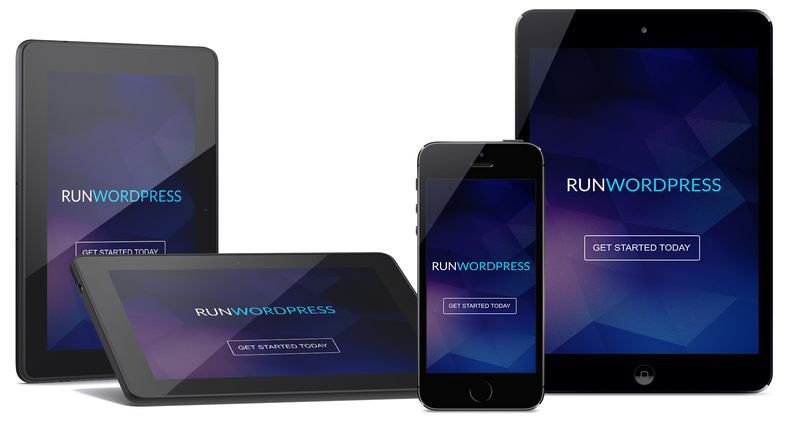 We have a mobile first approach, responsive websites are a standard at RunWordpress. Our primary focus is on user experience and design, beauty, simplicity, accessibility and SEO optimization. One responsive website, optimized for mobile devices (up to three rounds of design revisions). Up to 5 unique pages – additional pages $100/page. Installation and Configuration of WordPress Software. One custom designed hero graphic on each page and favicon (up to 5 hours design & revisions). We'll customize colors, fonts and web design to align with you or your brand. We'll migrate the written content of your current website. Stay connected with your audience, we'll add a simple contact form to your site. Up to 10 unique pages – additional pages $100/page. We'll input and format your content. Home page slider is included. Custom designed hero graphic on each page and favicon (up to 5 hours design & revisions). Social Media Integration: Like, Share and Tweet - get more traffic! Google Maps Integration - help your customers find you! Basic Google Analytics - Monthly reports managed by RunWordpress for one year. A one-hour training session is included. Stay connected with a complex contact form. Your package with more advanced features and functionality. These packages do NOT include: any customization of your theme beyond what is listed, using any theme that you have purchased, migrating content from another blog or site, domain name registration and hosting fees. *Additional custom graphics, stock images, photography and anything else – please request a quote. Our websites come with an automatic 30 day warranty, meaning that we’ll be available for 30 days after the launch to take care of any issues that arise after the site goes live. We also offer retainer packages to cover extended website support, development or maintenance needs, as well as monthly rates for ongoing content and social media support. If you purchase your hosting from us, the maintenance is included. Our Managed Hosting is for people who don’t want to deal with hosting. It’s VIP service for folks who rely on their site as a business tool and want it to just ‘work’. Think of us as your hosting concierge. We will keep your WordPress site core files, theme and plugins up to date and secure. We will also monitor site activity to stop any potential threats in their tracks. Cheap hosting is out there, we understand that, what you may not know is that they also can host questionable sites such as adult sites and spamming/phishing sites. They may or may not know about these sites, but if those types of sites are on the same servers as yours, they can get your website penalized, or even banned in search engines.